Post images of your favorite books. This could entail pictures that feature quotes from novels or by authors, or even movie posters from books that have been converted to film, i.e. Gone with the Wind, Pride and Prejudice, The Time Traveler’s Wife. Follow your favorite authors, content marketers, publishers and newspapers or magazines. Keep in mind that many supporters of reading and writing, such as a local public library, community newspaper or magazine, also curate on Pinterest. You might have the chance to engage in a bit of self-promotion or market to your community if you find that one of these organizations is on the platform. Look at other people’s boards and find comments about books, book recommendations, links to blogs, articles and the like. Take this opportunity to repin material and realize that you are engaging in the same type of “retweeting” that happens on Twitter. Voila! You are content marketing and you didn’t even know it! On your own page, create individual boards about what influences you. Depending on what sort of writer, publisher or content marketer you are, this could follow a variety of subjects, from trends in online marketing to hot topics in the publishing industry to infographics that can help you become a better writer or get over writer’s block. The sky is truly the limit! Realize that Pinterest has a heavy “crafty” and “DIY” vibe. Appeal to other people’s interests by sharing stationary, journals, writing tools and the like. Engage other people by showcasing tips on how to create great gifts for the writers or book lovers in their lives. Pinterest takes creativity, but it is important that you stick to the platform’s rule: “Pinterest is designed to curate and share things you love. If there is a photo or a project you’re proud of, pin away! However, try not to use Pinterest purely as a tool for self-promotion.” Of course, to the experienced content marketer or content writer, that last thought is nothing new. 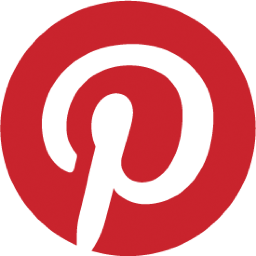 As a writer, it’s true that the idea of Pinterest takes some getting used to, but if you get the hang of it you will realize that it is a platform that can help you drive traffic to other networks, blogs, websites, etc. where your written work is showcased.